Get in and SPIN - Entry Only - LIMITED TICKET details $19.95 Ended 14! Ticket sales ended at: 12/31/2018 at 11:00 PM $99.00 Ended 7! VIP Packages Ticket Includes - 4 hour premium drink package from 9pm-1am, shared Appetizer Station, 4 hour Ping Pong Table rental, Bottle of Chandon upon arrival. Price is per attendee. View More Events Organized by SPiN. SPiN is a 12,000 square foot Ping Pong bar located in Philadelphia, PA. 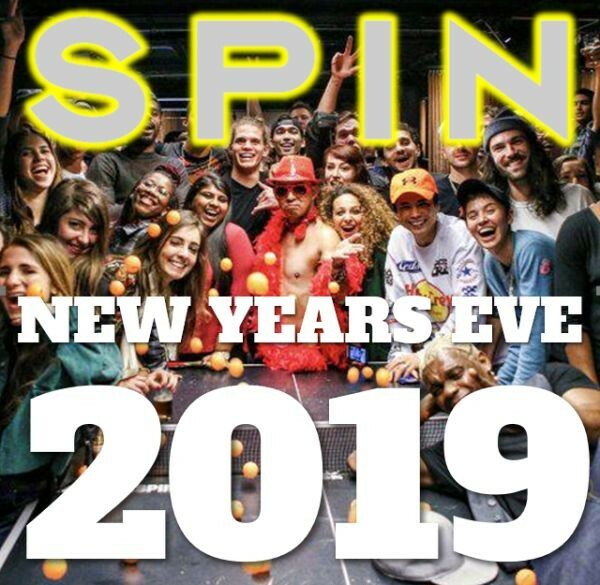 This event is organized by SPiN.